The division was created following the 1983 redistribution. It was named after Mrs Doreen Braitling who lived at Mt Doreen Station. west of Alice Springs, from the 1930s until 1959. The 2015 redistribution saw Braitling lose part of the suburb of Araluen to the division of Araluen and gain the majority of East Side and part of Sadadeen from the division of Greatorex. 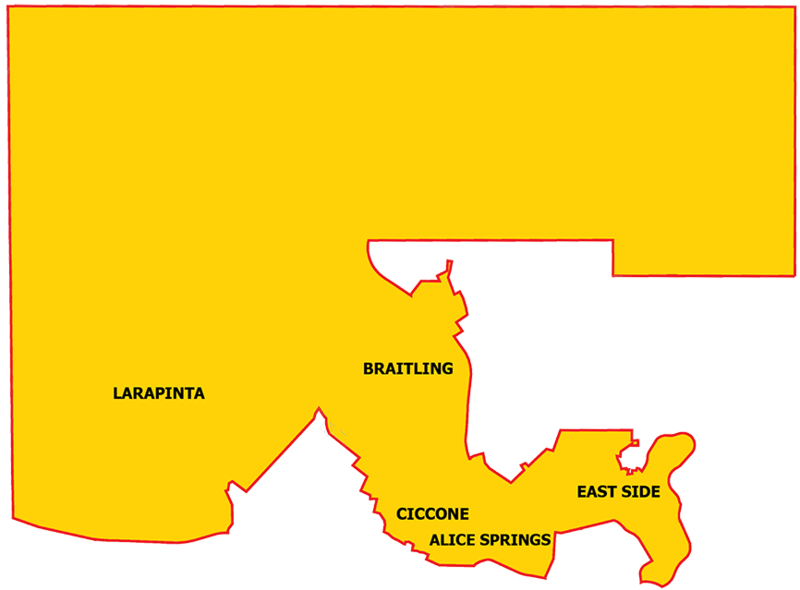 This division covers the north-western part of Alice Springs and includes the suburbs of Braitling, Ciccone, most of East Side, Larapinta, Irlpme, and parts of Alice Springs Town.